This one is finished. On to the next one! 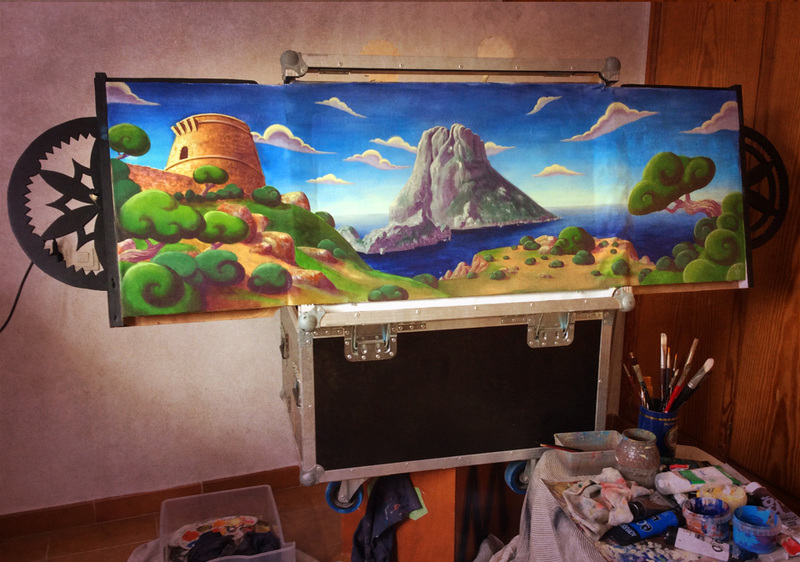 Puppet show backgrounds for a project of Còmica Espectacles – Ibiza. Este decorado está terminado. A por el siguiente! Decorados para un espectáculo de marionetas de Còmica Espectacles – Ibiza. I love it! It makes me want to go on an adventure there. 😀 It reminds me of the Legend of Zelda Wind Waker video game style. Just beautiful! I love the gradient in the sky. The blues are so crisp and fresh. What did you paint this on? Did you use acrylic?